MMM! Super creamy and tasty soup! It is soooo cold outside! 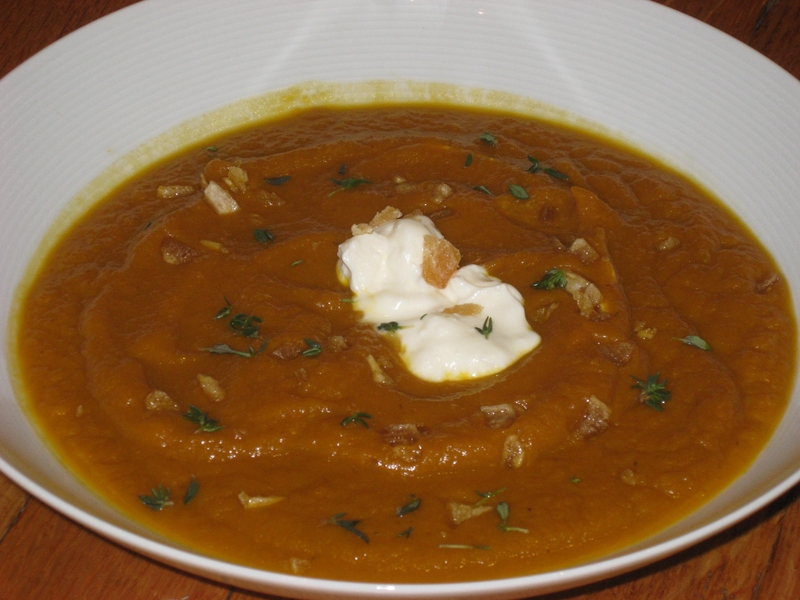 There is nothing better in this weather than a deelish bowl of warm soup. And this one is super good and really low-fat. The flavors also undeniable wintertime, love that! I used sour cream for garnish to mix in, but you don’t have to. Actually, since there was lots of leftovers, I have been enjoying this so much without the addition of the sour cream and it is so good! This soup is super delightful on its own 🙂 Make this one soon, it is sure to impress. Preheat the oven to 450 degrees. In a large roasting pan, combine the squash and carrots with the oil and salt and pepper. Roast for 10 minutes, then add the leeks and pears. Toss together and continue to roast for another 30 minutes. Remove the pan from the oven and immediately add the wine and port. Use a wooden spoon to scrape the bits and vegetable from the pan. Carefully, transfer the vegetables mixture to a large pot. 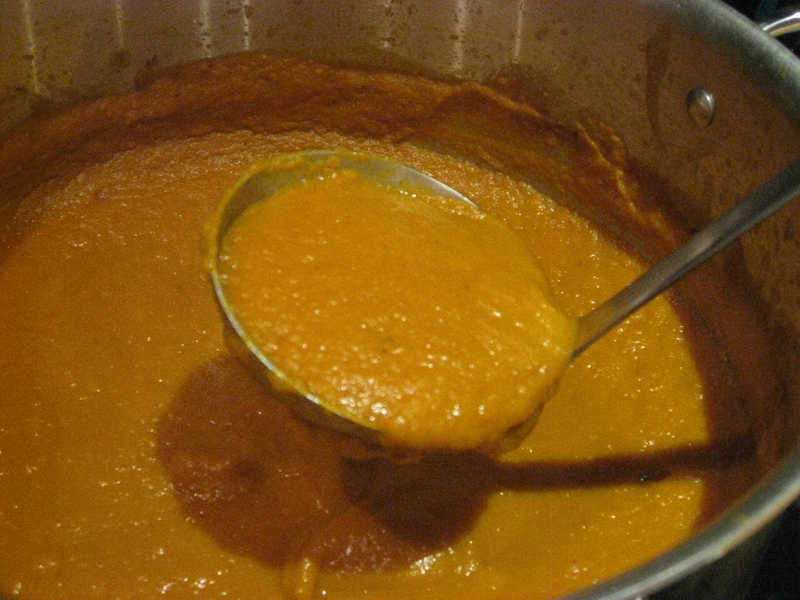 Pour in the broth and add the thyme sprig, grated ginger and pumpkin puree, bringing the liquid to a boil. Reduce the heat and simmer, partially covered, for 1 hour. 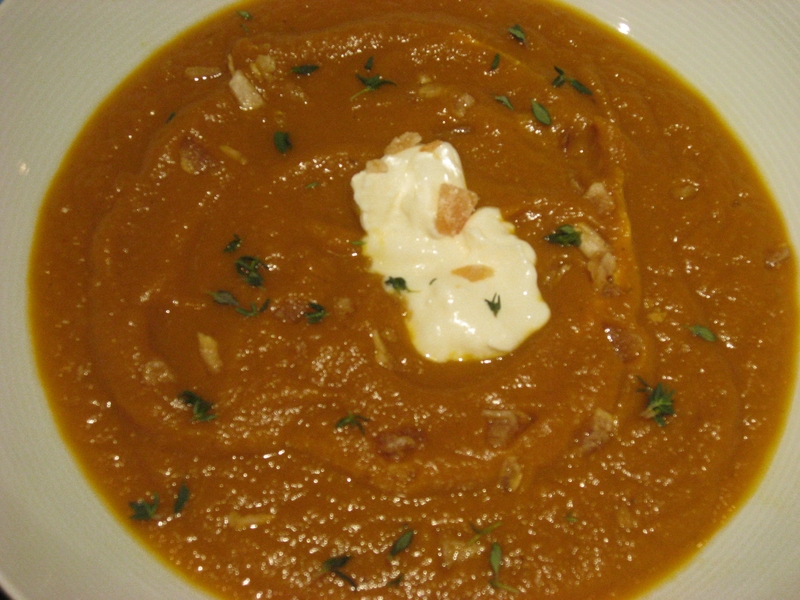 Remove the thyme sprig and puree the soup with an immeserion blender or standing blender. 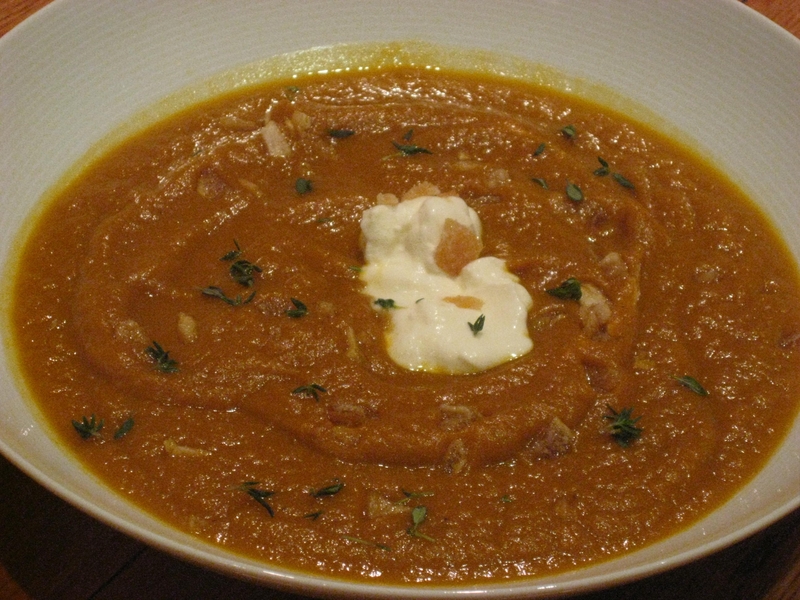 Dollop with sour cream, if desired, and sprinkle with crystallized ginger and chopped thyme leaves. Previous RAW Red Pepper Curry Soup Next Get a free week of yoga at Yoga Works!